Spring is a time of excitement and new beginnings. Children love putting on their rubber boots, splashing through puddles, looking for worms and marveling at beautiful rainbows. So, why not use this wonderful time of year as a central theme for a full day or even a full week of children’s activities? The possibilities are endless. A whole world of trees, tulips, worms and, of course, rain awaits children just outside the front door. For these activities, I will focus on rain showers and rainbows. First of all, have the children draw large chalk raindrops on the sidewalks leading up to the entranceway to your home. Next, decorate the playroom by taping large, grey clouds to the playroom windows and hanging yellow lightning bolts from the ceiling. Play a rainstorm CD for morning time. During naptime, play a babbling brook CD. Add props to the dramatic play area such as rubber boots, watering cans, artificial flowers, umbrellas, rain slickers and rain hats. Play up to the children’s imaginations by reading the story, ”Cloudy With A Chance Of Meatballs” by Judi Barrett. This is a delightful story about a fictional town where the rain comes down as food. One day, larger than usual amounts of food starts to rain down and the people of the town are forced to build a large boat so they can sail away. Get the children involved by asking them what materials they would use for their boat. Fill the water table with water that is dyed blue and float pieces of Styrofoam. Create an anything-goes “weather window” where the children can look out and imagine what might be falling out of the sky if they had illustrated the book. Create the “window” by cutting out the inside of a piece of poster board so that you are left with the window frame. Next, cut out a window-sized piece of wax paper and tape it to cover the open area. Engage the children with the following celebration experience call “roll-a-ball”. Have the children all sit in a circle with legs crossed. Roll a ball to each child. Have them share something they like to do on a rainy day. 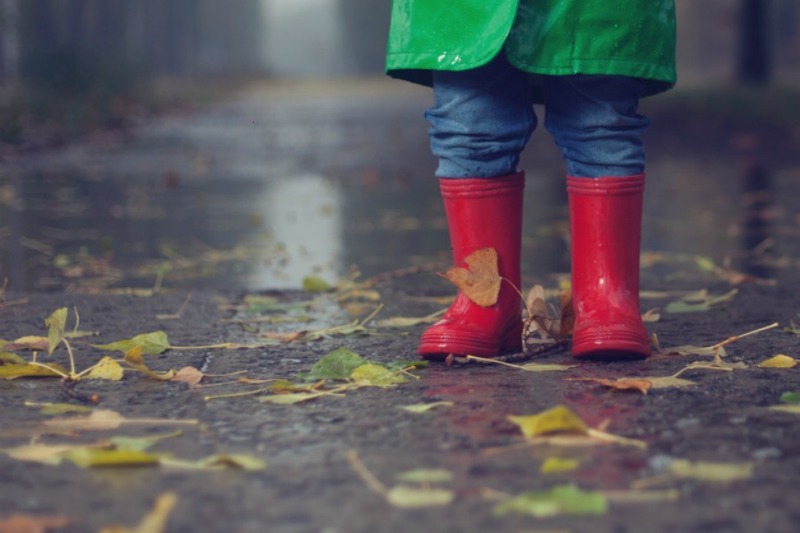 After a rainstorm, take the children outside for a “worm walk”. Take the time to stop as a group and look at the worms and the tracks they make on the sidewalks. Rainbows are a wonderful part of springtime and, after a long rainstorm, the sight of a rainbow can fill you with hope. First, cover an entire wall with white paper. Next, have the children create a large mural of a rainbow on the wall using scraps of construction paper, tissue paper and old magazines. After completing the rainbow mural, you can hide chocolate coins from a “pot of gold” around the room for each child to find. Make snack time a light, fun time of celebration. Make “rainbow” cream cheese sandwiches. Separate a block of cream cheese into 4 different bowls. Use food coloring to make four different colors of cream cheese. Have the children spread different colors of cream cheese onto their toast to make a rainbow design. Serve grape punch and introduce it as rain water. Serve cheese fish crackers. Jazz up the snack table using a small brightly-colored umbrella wedged between the tables. The rainy days and rainbows associated with springtime provide many opportunities for children’s activities. Whether you are drawing raindrops on the sidewalk, reading the book, ”Cloudy with a Chance of Meatballs” or making a rainbow mural on the wall, the opportunities are endless. 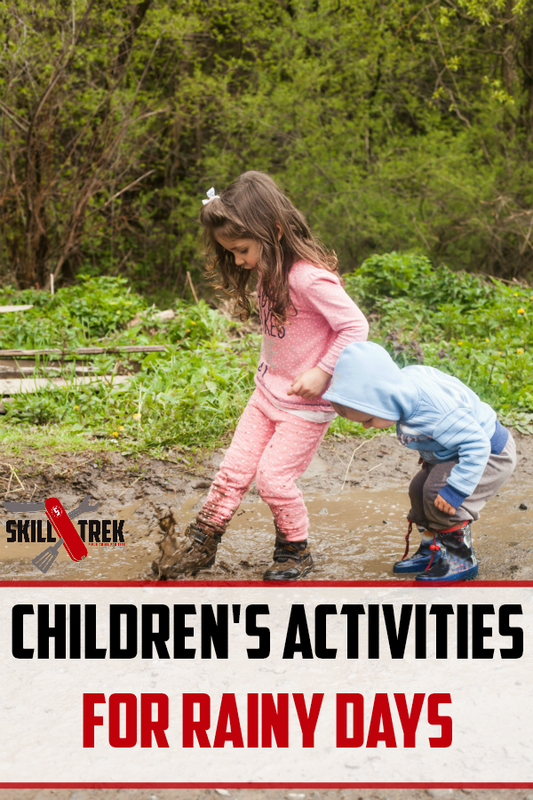 These are just a few activities for rainy days you and your family can enjoy this spring. Rainy days don’t have to be dreary and bleak. Take the time to really celebrate spring because it only comes once a year!